This awesome fully furnished (list to be provided) condo is on the ground floor with no stairs. Building #18 is located in the secluded area of the complex so it is very private! Beautifully appointed community with gorgeous pool and BBQ area, Clubhouse with fitness facility. May qualify for short term renal through HOA. Decorated in neutral tones with granite counters and upgraded maple cabinets throughout. 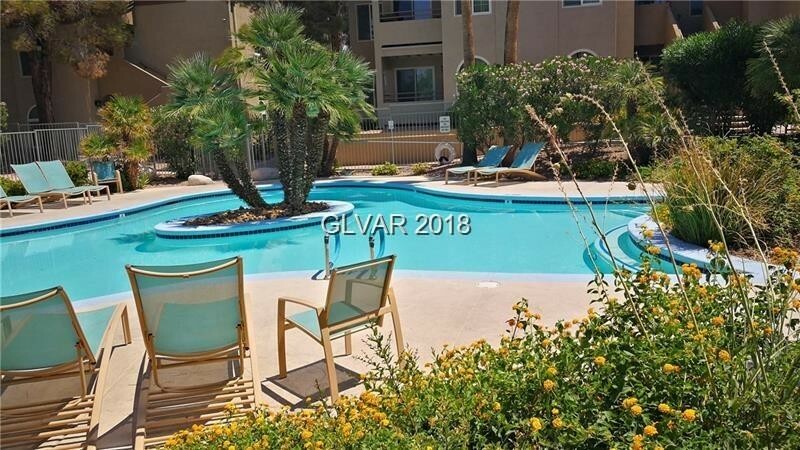 This is a fantastic two bedroom condo with a spacious living area!